Paris is a world-popular tourist destination that is overflowing with plenty of history and beauty. Almost every square inch of Paris offers amazing beauty and attractions worth visiting. In fact, the entire city of Paris has worth seeing and exploring, but there are some of the major tourist attractions that should not be missed out at any cost. So here are the top ten Paris attractions and sights where you can visit and make your holidays memorable. To explore the Louvre entirely, you might need the rest of your life, but still it is a better option to start exploring the city of Paris. Louvre offers the largest and most diverse compilation in the world of pre-20th century painting, sculpture, and decorative objects. It is among the best attractions of Paris. This attraction will again remind you of Mona Lisa and the Venus de Milo through the works of Vermeer, Caravaggio, Rembrandt, and many other masters. The palace is rich in history of medieval period to the present. Your trip will never get complete unless you visit this marvel of gothic architecture. It is among the most remarkable and beautiful cathedrals of Europe. The cathedral’s dramatic towers, spire, stained glass, and statuary will take up your breath away. Come and visit this firsthand spot that was once the heartbeat of medieval Paris. The Notre Dame Cathedral has taken more than 100 years of hard labor to finish. Climb to the north tower and see Paris. You will get to know why this cathedral is among the top ten Paris attractions and sights. Walk through the bridge from Louvre to the Musee d’Orsay. You can see the bridge between classical and modern art. It houses most significant collection in the world of impressionist and post-impressionist painting. The Sorbonne University is actually a historic soul of the Latin Quarter. Here the higher learning has thrived for centuries. This university was founded in the year 1257 for a tiny group of theology students. Sorbonne is among the oldest universities of Europe that has hosted many great thinkers along with philosophers Rene Descartes, Jean-Paul Sartre, and Simone de Beauvoir. You can simply enjoy a drink on the café terrace, which is located in front of the college. Paris’ most renowned landmark and for which the city of Paris is world popular is the Eiffel Tower. The tower has come to represent a well-designed and contemporary Paris. 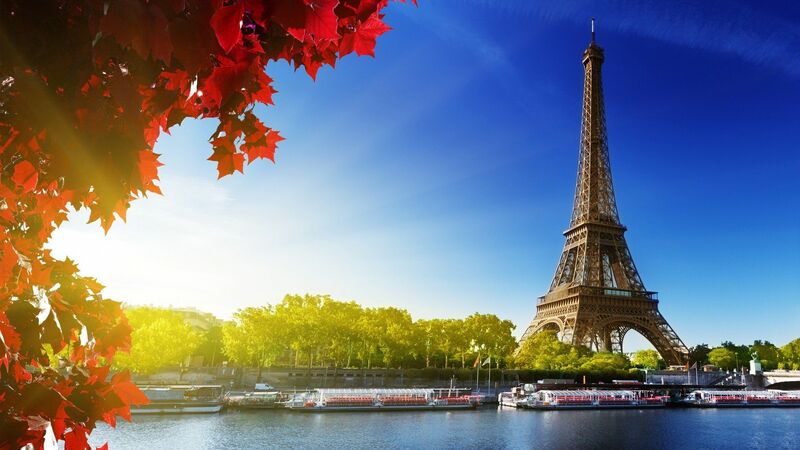 The Eiffel Tower attracts more than 220 million visitors and is simply hard to imagine the city of Paris without its top attraction named Eiffel Tower. 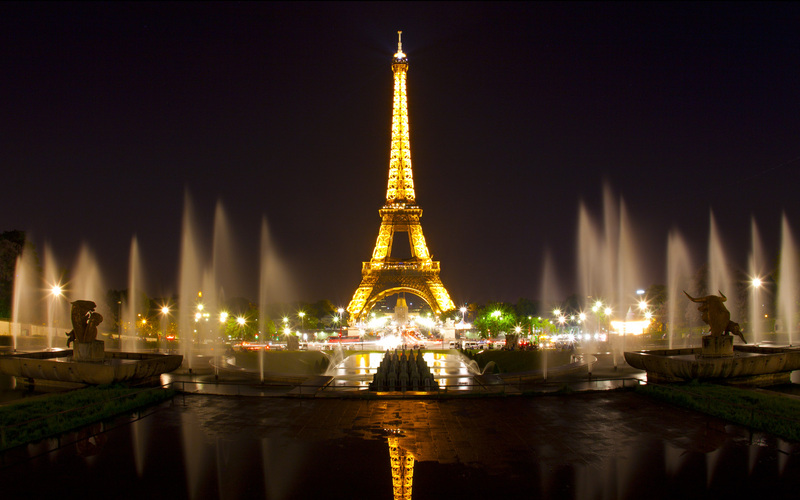 The tower crowns the night sky of Paris with dazzling and sparkling festive light. The Arc de Triomphe was commissioned by Emperor Napoleon I and has a height of 164-foot. This attraction was built in an era when the leaders erected monuments in their own admiration and scaled to their egos. The beautiful sculptures and relief’s of the arch honors the generals and soldiers of Napoleon. Perisians believes that this attraction is the cultural pulse of Paris. This modern art museum and cultural center lies in the neighborhood affectionately dubbed Beaubourg. It was opened in the year 1977 to commemorate the president Georges Pompidou. The signature skeletal design that evokes bones and blood vessels will lure you entirely. Sacre Coeur sits at the highest point of the city of Paris on Montmartre knoll that attracts visitors with its white dome. It is best known for its garish gold mosaic interiors and dramatic terrace. Climb up to reach to the Montmartre’s alarming hills and stairs and witness the traditional Parisian cabaret at the famous Moulin Rouge. Paris has many famous figures and cemeteries, but the Pere Lachaise Cemetery is the best out of them. During the sunny day, simply climb to the summit of the cemetery and look down on the lavishly designed crypts. A boat tour down the Seine River will be an unforgettable experience for the rest of your life. Companies offer one-hour tours year round for 10 Euros. You can even enjoy seeing the Notre Dame or the Eiffel Tower thorough this. To get the best of views and feel the pleasant climate, head there at night. Paris has much more than this, but at least you should try out these top ten Paris attractions and sights. Enjoy the shimmering play of lights at every sight in Paris.